Welcome to 2016. February already and the Reserve Bank is signalling its commitment to hold interest rates where they have been since early last year. With this in mind and an a plethora of media comments telling everyone about how good Melbourne property has been outperforming Sydney, I can see we are in for another year of growth in the property market. I would think we will see an average 6-7% growth in many parts of Melbourne and it will be the higher yield properties that will be well sought after. If you are considering a property purchase this year please feel free to give us a call or drop us an email with any questions. As most of you will be aware JPP Property Management has a new team member. Toni Dart has been working with JPP for nearly 6 months now in an assistant property manager role. Toni has become a great asset to the property management team and you will most likely be hearing from her from time to time. We are also in the process of changing over our Property Management software. The new software system will allow for landlord access to all relevant files for the tenancy and invoices that come through. It will also streamline a lot more processes for JPP including inspection reports. Lastly JPP Property Management has moved to a new office. We are located at 634 Nepean Highway Carrum. Please feel free to pop in for a visit if you are driving past. Tenant Tip - Living in Melbourne has many many massive benefits however one of the biggest downsides is our pesky insects. A tip that we have come across has said peppermint oil will repel ants in the kitchen and around the house. Peppermint oil will save the use of any harsh chemicals in the house and hopefully leave the house smelling nice and fresh. Hope this helps! Unless you have just arrived back home from a holiday without any TV, radio or internet, you will have seen that the world stock markets have taken a battering in the past week. Everyone’s eyes have been on China and the speed, or lack thereof, of its economic growth. And all thoughts go to "What does that mean for us!" Click here to read the rest of the article on jpp.com.au. With talk from the federal government of limiting Negative Gearing, many commentators are talking about seeing massive changes to property investment and to this end a potential property crash. And many of these alarmists have talked about the stock market crash being the end of people investing. There are going to be changes in what our government will allow regarding tax deductions. There has to be! But it does not spell the end of property investment. 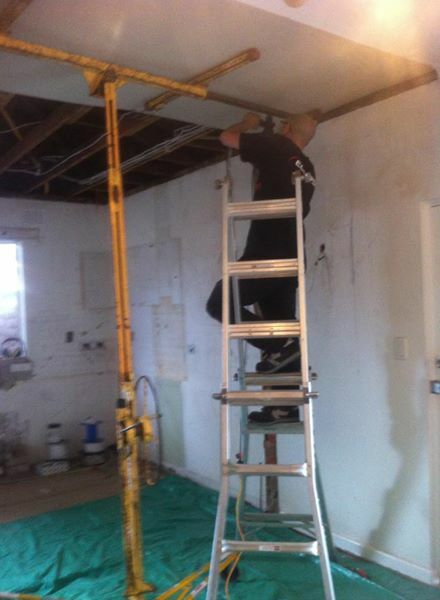 Many clients are faced with this question how much will it cost to renovate my existing property or should I relocate. A few costs that you need to consider, these are based on the Melbourne Metro median price of $706,000. agent fees, cost of selling your existing dwelling roughly 1.5% ($10,590), advertisement ($5000) contracts ($1500). Stamp duty on new purchase $37,070 based on purchase price of $706,000. In this scenario; Roughly $55,000 to relocate or 10% of the sale price when factoring moving costs etc..
Are you staying with in the original structure or extending the property. $55,000 can go along way if you intend to stick within the original structure, however it will also depend on your level of input often people watch renovating shows such as the block and assume the renovation can be completed in 4 to 5 weeks, it’s possible if you have a team of 20+ tradespeople, I would also classify this as professional pointing. However as an avid renovator myself its late nights, grunt work, dirty and cold. 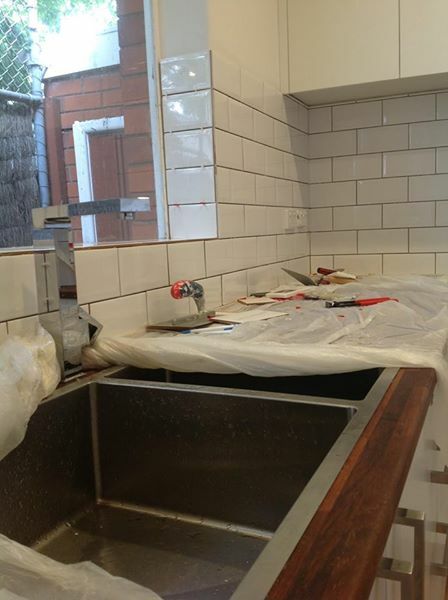 If you're looking to renovate yourself it is best to consider the items which you're capable of doing this maybe demolition, painting, tiling, plastering, cabinetry or it may also be more structural based etc... Don't be afraid of getting dirty and a little hard yakka. Use planning apps and online CAD programs to allow you to think outside the box; IKEA designer is a great and free app and simple to use, it doesn't mean that you need to use IKEA cabinetry but it allows you to plan ahead without outsourcing to interior designers or reading an extensive manual for a CAD program. There are a lot of great websites online for design inspirations or even better, attend a few open homes for the style of property that would want and take notes; what looks great in photos might never work as a functional home! Websites like apartmenttherapy.com can be a great source of inspiration for both small and large spaces; DIY projects and also in storage ideas. When designing or renovating, always design for a board market use neutral colours and natural light to its advantage; and think about the appeal and who will be buying or renting your property in the future. Poor design and instant wow can date very quickly! Nothing is ever full price unless its groceries! Have a check list and stick to it, often more time is wasted by trips to and from the hardware store for one item that has been forgotten and holding up the project. Serenity now! 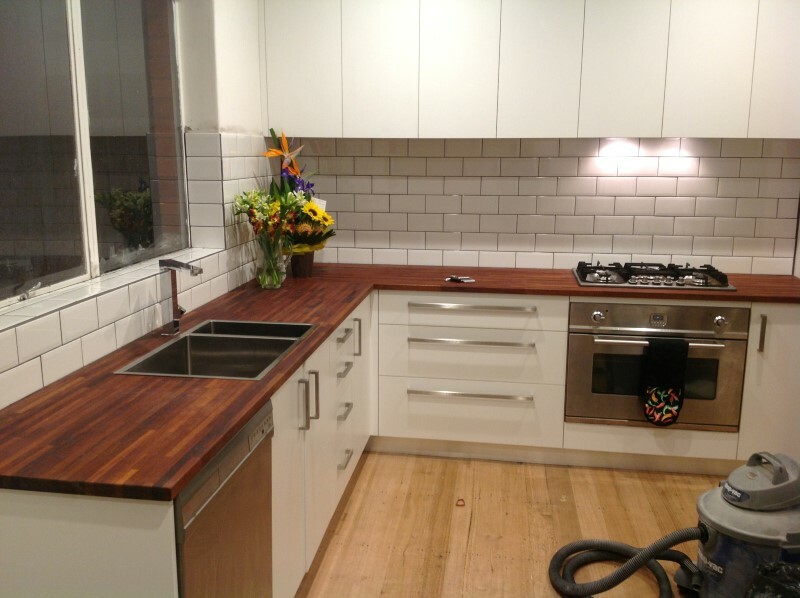 Renovating is a great way to test your relationships and can be a quick way to end them, planning ahead can minimise issues and keep your relationships intact. If you're looking for more of a turnkey solution, the archicentre offers a budget calculator that would help with the tough decision! 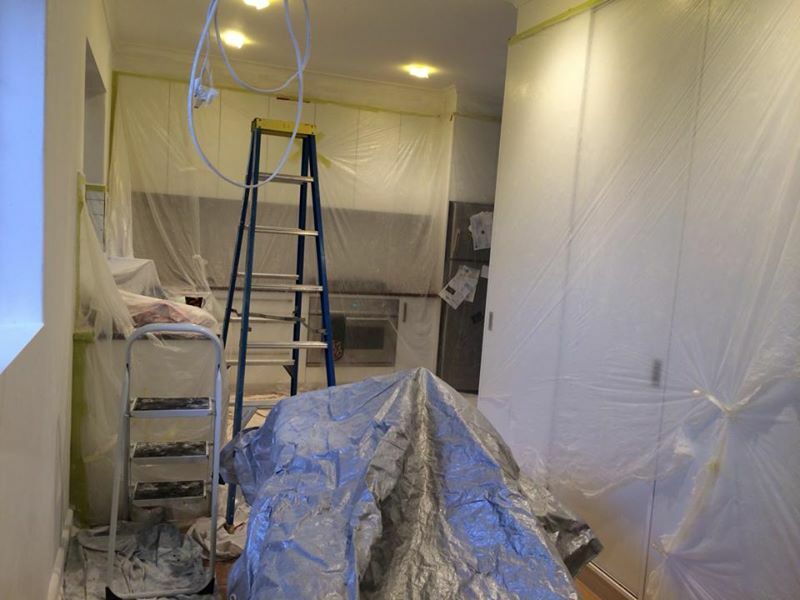 Keep in mind; it can be more expensive to renovate than rebuild; often a lot of people are caught out by what lies beneath a patched or tarted up property. If you are looking to buy or currently own a property that was renovated prior to you purchasing always factor in a buffer! The unknowns can catch you out or have an independent building inspector assess the property before moving forward. If you have time to project manage independent trades this could save you thousands; however if this isn’t done correctly, it could delay you days or even months! It’s important to not overcapitalise for the area; ask questions, do research and always! Get more than one quote. Referrals or references are a great way to source trusted trades or builders. As a massive gamer and retro game enthusiast, I have always loved the idea of being able to play games on the go...and while mobile phones are now powerful enough to handle most emulators up to the PlayStation 1 and Dreamcast, playing these on a touch screen is a nightmare. I have bought multiple devices before, but there have always been issues, be it battery life, or the screen being of poor quality, or the software being glitchy...but the GPD XD is the first gaming device I have bought, which I feel ticks every box I wanted in a portable emulation machine. Although it works well, the frontend software is a little confusing to use when you first get the device, so I would suggest changing to Smart Launcher Pro as the default home launcher and using an app called gamesome for launching games (this app downloads game covers automatically and is a nice way to organize multiple emulators)...both these apps are available via the Google Play Store. Out of the box, most emulators I have tried work without any configuration needed, and they run flawlessly...only starting to stutter on high end PSP games, but because the device runs android, the emulators are always being updated and you can install any of the thousands of current android games and configure them to work with the gamepad as well as apps like Netflix and Kodi media center, making the GPD XD the best all round handheld device I have ever used for gaming on the go. At the time of writing this article, the GPD XD costs around $220AUD and I bought mine from a website called Geekbuying. The library of babel is a website created by Jonathan Basile which uses an algorithm to display every combination of letters, comma, space and period up to 3200 characters. The library is made up of hexagonal rooms with 4 walls, each containing 5 shelves of books, which each contain 32 books, which each contain 410 pages. Currently the library has 104677 (one millia-quingen-octo-quinquagin-tillion or 1 followed by 4677 zeroes) books...to put that in perspective, there are only 1080 (one hundred quin-vigin-tillion or 1 followed by 80 zeroes) atoms in the observable universe. The library gives each page a unique sequential number in base-10 (eg: 0123456789). All the text in that page is encased in the number and this number is used in the algorithm to generate a much larger seed number in base-10. The seed number is then converted to base-29 (The entire alphabet, comma, space, period) and this is the text displayed on the page. This can also be done in reverse, turning the text on the page back into the page number. Because of the way the algorithm for the Library works, the contents of each page is already determined and just has to be looked up, in fact the 3 paragraphs on the front page of the JPP website, under the 'Dedicated Buyer Advocates in Melbourne & Victoria' heading can be found on page 273 in volume 19 on shelf 5 of wall 2 in this room/hexagon (I linked to a .txt file with the room name instead of including it here because it is 3253 characters long). Mix the oil, salt, cumin, paprika, black pepper, red pepper, garlic, lime juice and orange juice in a small bowl. Make slits in the pork with a paring knife and rub liberally all over with the oil mixture. Place the pork in a slow cooker and top with the remaining juices from the bowl. Cover and cook on low until tender, flipping once halfway through, about 6 hours. Remove from the slow cooker and let cool slightly. Shred the pork into thick chunks with 2 forks. Set the pork aside and keep warm in the cooking liquid; if you wish to retain the liqud as sauce for the sandwich; remove meat and add a teaspoon of corn flour to reduce and thicken. Cut the breadstick in half, Spread thin layer of mustard on both halves. Place 1 to 2 layers of ham, pork, cheese, and, finally, pickles; close and lightly spread butter on the outside of the breadstick. Cut the each sandwich to size suit your panini/sandwich press. Press and grill the sandwich. Heat your panini/sandwich press and then place sandwich in the press and cook until brown and the cheese has melted.